Papaya is one of the healthiest fruits that you can eat. Papaya is one of the healthiest fruits that you can eat. It contains many vitamins and minerals that prevent certain cancers as well as digestive disorders. In addition to papaya's vast health benefits, papaya is also helpful in achieving beautiful skin. 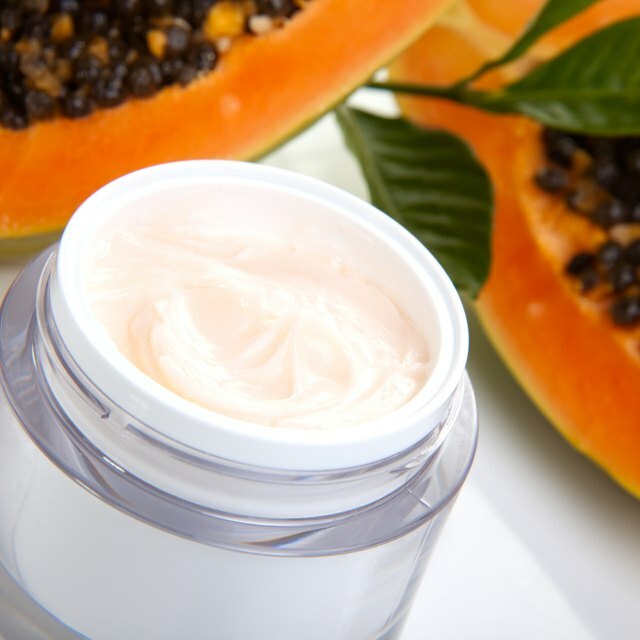 Whether used topically or incorporated into a diet plan, papaya is important for skin care. The papaya originally was discovered and grown in Central America, but grocery stores in the United States get their papaya supply from Hawaii. A medium-sized papaya weighs about 1 to 2 lbs. and is a melon-like fruit. The papaya is often eaten raw when it reaches its ripened stage, but it is also used for cooking, especially tenderizing meat. Papaya has been used to heal skin ailments, such as breakouts, dry skin, cellulite and premature aging. These claims come from the powerful enzyme found in papayas called peptin. Peptin is a digestive enzyme, but when applied topically to the skin it helps to smooth it and make it healthy and radiant. Other skin nourishing properties include Vitamin A, C, E and carotenoids. These antioxidants also reduce inflammation of the skin. The parts of the papaya that are able to be used are the fleshy pulp and the inside of the skin. The inside of the skin can be used to exfoliate rough areas. The best time to use the papaya is when it is orange and ripe. The best months to purchase papaya is May through September. Papaya also benefits the skin when incorporated into a normal diet. Papaya contains high amounts of Vitamin C which helps produce the connective tissue collagen to increase elasticity in the skin. Vitamin C further works to block free radical damage from the environment. Free radicals are unpaired molecules found in UV rays and pollution that cause premature aging such as fine lines, wrinkles and age spots. Peptin, the enzyme found in papayas, dissolves fat in the body which helps fight cellulite. Since peptin aids in digestion, this prevents the buildup of toxins in the body and reduces breakouts. Some believe that taking high amounts of the papaya enzyme supplement is a more efficient way to reap the benefits of papaya. Although a papaya supplement can be beneficial when taken as directed, you should check with your doctor before incorporating it into a daily routine. 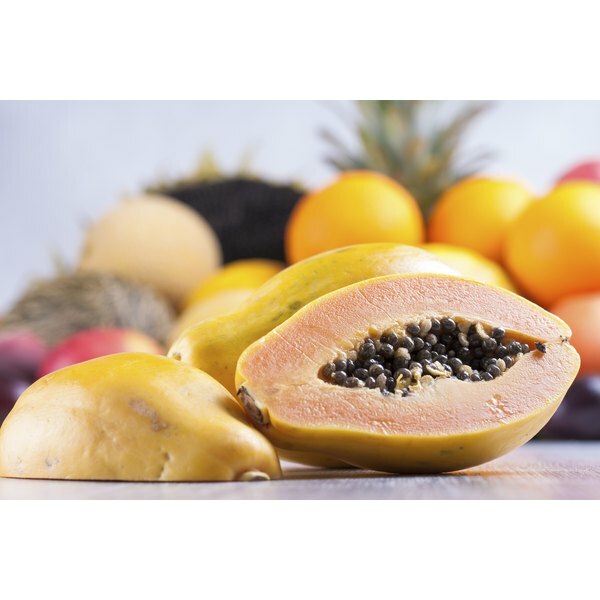 Papaya enzyme supplements have been reported to irritate the esophagus, stomach and can interfere with some medications when taken in large doses. Mercola.com: What Is Papaya Good For? What Effects Do Oranges Have on the Skin? What Are the Benefits of Grapefruit for Bodybuilding?